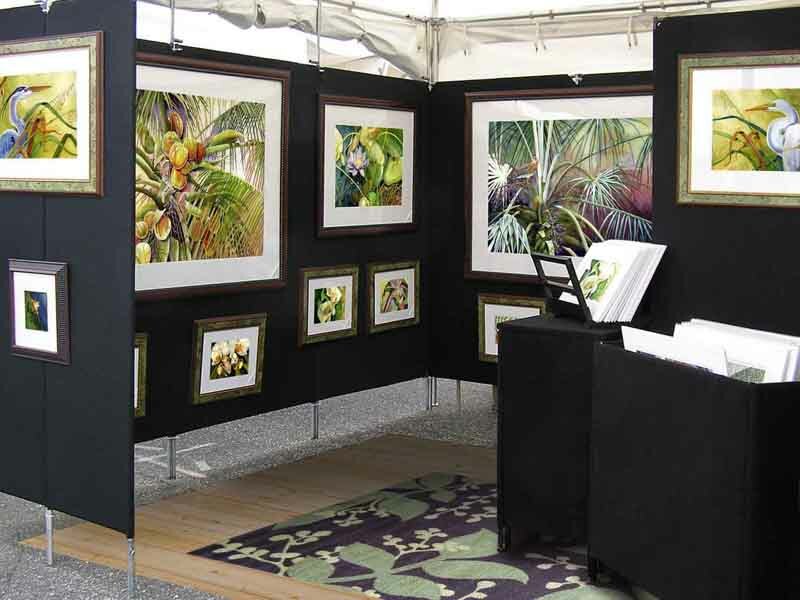 Participating into art festivals can be exhausting and, when the weather does not cooperate, it can be devastating. But the opportunity to meet my art collectors face to face is what keeps me coming back. So much time goes into creating my art, it is often hard to part with it, but when I meet you, my customer, I know then, my painting will have a good home. I like to see the joy on your face when you add a new piece to your collection or aquire one for the very first time. If you come to the show, please stop by to say hello and look at my work. I always like to hear your comments.